For the journal, see The Jurist (journal). For the online legal news service, see JURIST. 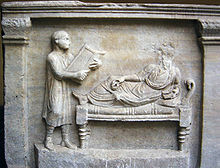 A jurist (from medieval Latin) is someone who researches and studies jurisprudence (theory of law). Such a person can work as an academic, legal writer or law lecturer. In the United Kingdom, Australia, New Zealand, South Africa, and in many other Commonwealth countries, the word jurist sometimes refers to a barrister, whereas in the United States of America and Canada it often refers to a judge. Thus a jurist, someone who studies, analyses and comments on law, stands in contrast with a lawyer, someone who applies law on behalf of clients and thinks about it in practical terms. There is a fundamental difference between the work of a lawyer and that of a jurist. Many legal scholars and authors have explained that a person may be both a lawyer and a jurist, but a jurist is not necessarily a lawyer, nor a lawyer necessarily a jurist. Both must possess an acquaintance with the term "law". The work of the jurist is the study, analysis and arrangement of the law—work which can be done wholly in the seclusion of the library. The work of the lawyer is the satisfaction of the wishes of particular human beings namely the crowned heads of Europe for legal assistance—work which requires dealing to some extent therefore with people in the office, in the court room, or in the market-place. This is a sequential classification of some notable jurists. ^ a b "Jurist". Oxford English Dictionary Second Edition on CD-ROM. Oxford: Oxford University Press. 2009. ^ Garner, Bryan A. (2009). Black's law dictionary (9th ed.). St. Paul, Minn.: West. pp. Jurisprudence entry. ISBN 0314199497. ^ Vieto Piergiovanni (2000). Comparative Studies in Continental and Anglo-American Legal History. Germany: Duncker & Humblot. p. 236. ISBN 978-3428097562. ^ Cusack, Warren (2015). Literature and the Law of Nations. Oxford, UK: Oxford University Press. ISBN 978-0198719342. ^ Melville Madison Bigelow, Centralization and the Law: Scientific Legal Education (1906), p. 219.